For sale is aSprint Airave 2.5 Airvana Access Point. Sprint Airave Access Point. It's like having your own mini-cell tower. Start Guide. Ethernet Cable. They work very hard to get quality products to you quickly. 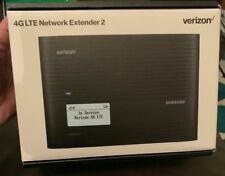 Verizon 4G LTE Network Extender 2 Samsung SLS-BU10B IN BOX 4G Signal Booster. Condition is Used. Shipped with USPS Priority Mail. This item was used but it is in EXCELLENT condition. It is stored in a very clean home that is pet free and smoke free. LOW shipping cost for fast shipping. I ship FAST!!! Thank you for looking and good luck!! 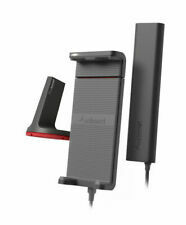 Wilson weBoost Home or Building 4G Cell Phone Booster Kit (Originally $559.99). Condition is Used. Shipped with USPS Priority Mail. Product is in very good used condition. See photos for condition. MADE IN USA!!!! Let me know if you have any questions. Thanks for checking out my listing and please feel free to check out the other items I have available in my store for sale. I appreciate your business! FREE RETURNS! 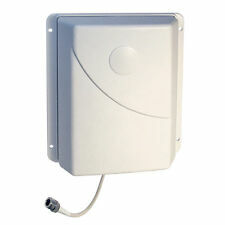 AT&T Microcell Wireless Cell Signal Booster (ModelDPH-154). The condition is used. It has a few scratches and writing on it, but in working order. Includes Microcell and cable only. Get the most from your Sprint phone or smart device right now. Sprint Airave Access point. Sprint AIRAVE Access Point features Access to Sprint Voice and Data Services. Works with your Sprint Wireless Phone. Condition: Open Box Detail: ---PERFECT FOR 1 - 2 ROOMS OR SMALL OFFICES: Say goodbye to dropped calls in your home. ---BOOSTS CELL SIGNALS UP TO 32X: Enhances 4G LTE and 3G signals for buildings up to 1,500 sq ft. ---BETTER VOICE AND DATA: Get fewer dropped calls, better voice quality, faster uploads and downloads. ---COMPATIBLE WITH ALL US NETWORKS: Works on Verizon, AT&T, Sprint*, T-Mobile, US Cellular, Straight Talk and more. 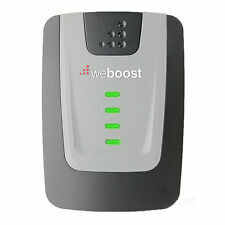 *weBoost boosters do not support a particular frequency used by some parts of the Sprint network. Most Sprint customers still see performance improvement from our boosters. Samsung Network Extender Signal Booster SCS-2U01 for Verizon Wireless Network. This works with Apple or android phones. This unit was opened and it installed and worked perfectly while in an apartment for the Winter. I no longer am in need of it. I bought it for 199 in a Verizon store. I have included all of the cables. Wilson Electronics DB Pro 800/1900MHz signal booster. Includes booster unit and original power adapter only. Some surface wear on front plastic. Unit has been tested and confirmed working. It is in the original box with ALL cords (Network, Power, Antenna) and manuals. PARTS AND REPAIR. NEW / OPEN BOX. High quality design and construction by Cisco Systems, a leader in cellular and network technology. (2) Sprint Airave Access Point. It's like having your own mini-cell tower. (2) Start Guide. (2) Ethernet Cable. They work very hard to get quality products to you quickly. Verizon Wireless, A 4G LTE Network Extender by Samsung. Model: (SLS-BU103). This is an incomplete product that has been inspected for functionality and may show signs of use. UNBEATABLE VALUE. - 1 LAN port. 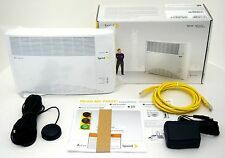 SPRINT AIRAVE 3 LTE WIRELESS BOOSTER MODEL ( AIRCDMAFAP ) W/ GPS Antenna. Shipped with USPS Priority Mail. 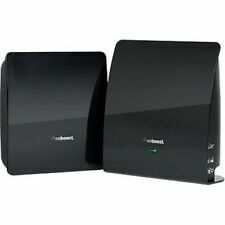 Verizon 4G LTE Network Extender 2 SLS-BU10B Signal Booster **Free Shipping**. Condition is Used. Shipped with USPS Parcel Select Ground. VERIZON WIRELESS 4G LTE NETWORK EXTENDER BY SAMSUNG (SLS-BU103). Condition is Used. Shipped with USPS Priority Mail. BOOSTS CELL SIGNALS UP TO 32X: Enhances 4G LTE and 3G signals for buildings up to 1,500 sq ft. PATENTED AUTOMATIC GAIN SETTINGS: Smart technology senses signal conditions in and around the building, then electronically optimizes the booster for best performance. NXT CEL-FI-D32-24 is the only Cellular Signal. All Digital Simultaneous Voice and Data 3G/4G/LTE (Dual Band MHz 1700,1900). Cisco AT&T Microcell Model DPH154 Wireless Cell Signal Booster Tower Antenna in good working condition. EVERYTHING CAN BE WORKED OUT. AT&T Microcell Wireless 3G Cell Signal Booster Tower Antenna Model DPH151-AT. Condition is Used. Shipped with USPS Priority Mail. Comes with power cord. Item is fully functional. I will send the buyer the username and password necessary to use this. Microcell tower NOT attached to any account. 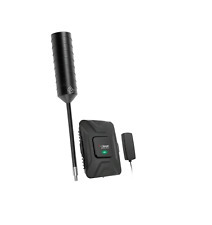 1-MICROCELL WIRELESS CELL PHONE SIGNAL BOOSTER. 1-ETHERNET CABLE. Our goal is to keep you satisfied and resolve any issues you may have. Do NOT open or reassembly the item, because we will not accept the item back. New ListingAT&T CISCO MicroCell DPH-154 Wireless Cell Phone Signal Booster! Unit is almost mint condition, listed as used because original box is missing. Unit appears to be unused no signs of wear. Item were taken out of original wrapping, inspected, powers on and cycles trying to find signal. Unit worked great. Moved and dont need it now. Unit is deactivated. Comes with original power cord. No manual. Any questions just ask! 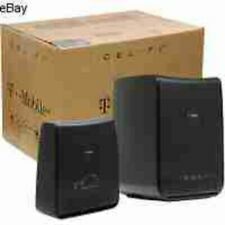 Nextivity Cel-Fi DUO Smart Signal Booster - Tmobile WINDOW UNIT ONLY. Condition is Used. Shipped with USPS Priority Mail. 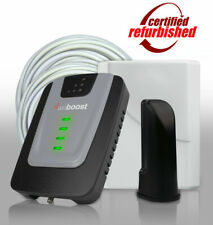 Wilson weBoost Home 4G Cell Phone Booster Kit - 470101. Condition is New. Shipped with USPS Priority Mail. 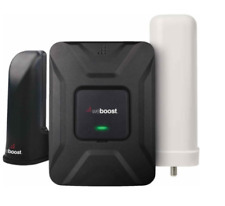 Supports all carriers: weBoost will boost any carrier's signal for every phone. Everyone within range gets boosted automatically. 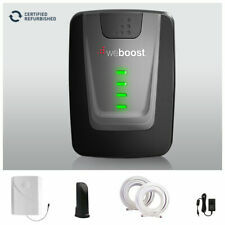 Boosts signal: The booster receives the outside signal, amplifies it up to 32x, and sends it to the inside antenna.